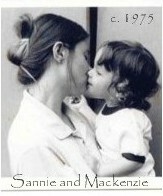 ... actually one Mom and one Grandmom. 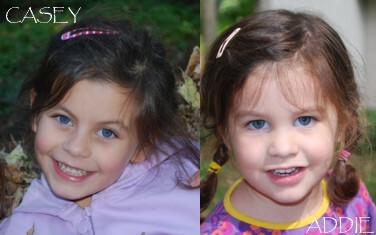 The Mom (Mackenzie) is new at the job - her daughter Casey was born in 2002 and second daughter Addie arrived in 2005. 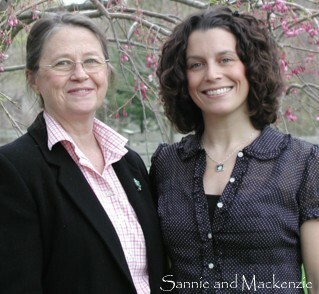 The Grandmom (Sannie) has been at it since Mackenzie arrived in 1973. SO WE KNOW WHAT WORKS BECAUSE WE'VE TESTED IT ALL! We are inspired daily by each other, two little girls who see EVERYTHING as new and exciting, and the women in our lives who have left behind a legacy of wisdom, style and fashion for us to carry on. Many, many hours of mothering combined with extensive sewing and design experience have helped us create products which are both practical and beautiful. We are also experienced business people who understand the importance of quality and service. Our mission is to make Moms, Dads and children feel good about themselves. To that end we are constantly making improvements and designing "next generation" I'mStillME's. PLEASE TELL YOUR FRIENDS ABOUT US. A happy Customer is our best recommendation!